I'm going to build a 8x8x8 Led RGB Cube, therefore I will need a lot of Power which the arduino can't handle, so I'm using a 12V 20A (I know 20A isn't necessary but I had one laying around). 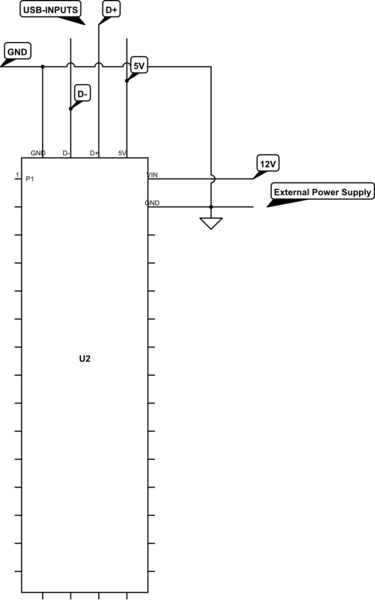 So the question is, is it possible to power the arduino over the Vin Pin with the 12V and program / communicate over serial connection in the same time? Like a real time programmed RGB LED Cube. 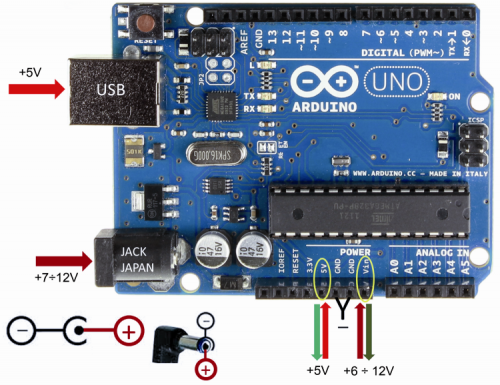 Arduino can manage multiple power inputs at the same time while fully operational (incluide Serial - USB connection to the PC). JAPAN JACK socket: an external source (a power supply, usually) must be connected to this socket, with the positive pole going to the central part of the jack, and the value must be ranging between 6 V and 20 V, even though the range recommended by the manufacturer is 7÷12 V, thus it is not advisable to use voltages that are lower than 7 V or greater than 12 V, if not in the case of a real need; 6 V may not guarantee a proper stabilization on the part of the regulator, it is in fact needed to consider the voltage fall of the protection diode, placed in series at the regulator’s input (whose purpose is to preserve the board from destruction in the case of polarity inversion on the jack); while values above 12 V would create an excessively high drop-out (an electric potential difference between the regulator’s input and output) that would cause a pointless overheating of the regulator, even with low levels of current draw. I'm now starting to doubt what I though about Arduinos. If you are using a 12V PSU to power the Arduino, you are only going to get 5V out of the vOut pin. The 20Amps you are supplying isn't going to come out either, all you'll get is ~300mA from the vOut or ~20mA from the digital pins. This is because of all the regulators. If you want to get the Arduino to switch LEDs on and off from another source you are going to need transistors. This will let you switch different voltages and higher currents. Not the answer you're looking for? Browse other questions tagged serial power communication voltage or ask your own question.